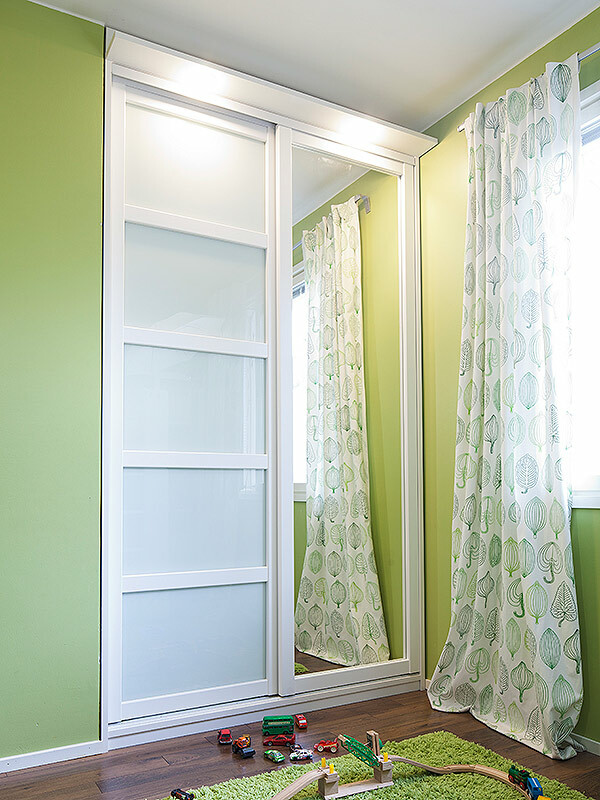 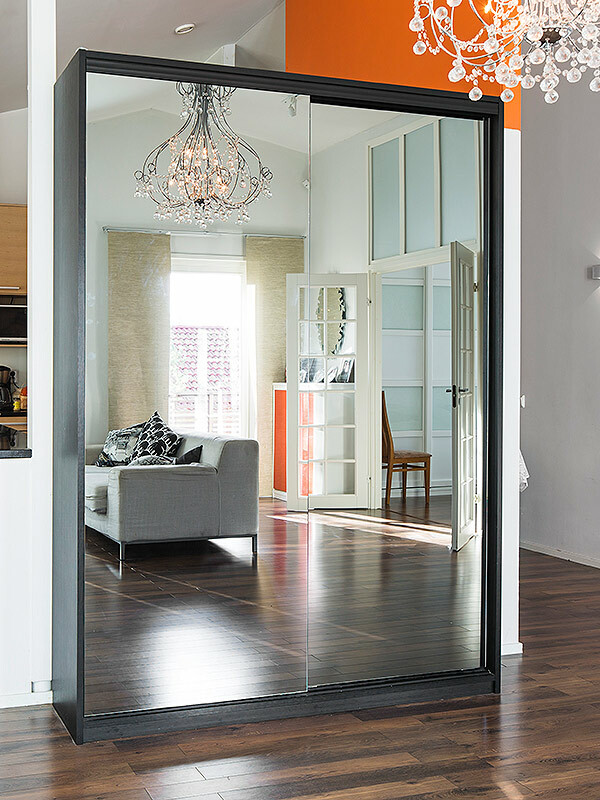 Sliding doors fit even the tightest of spaces, and they look good. 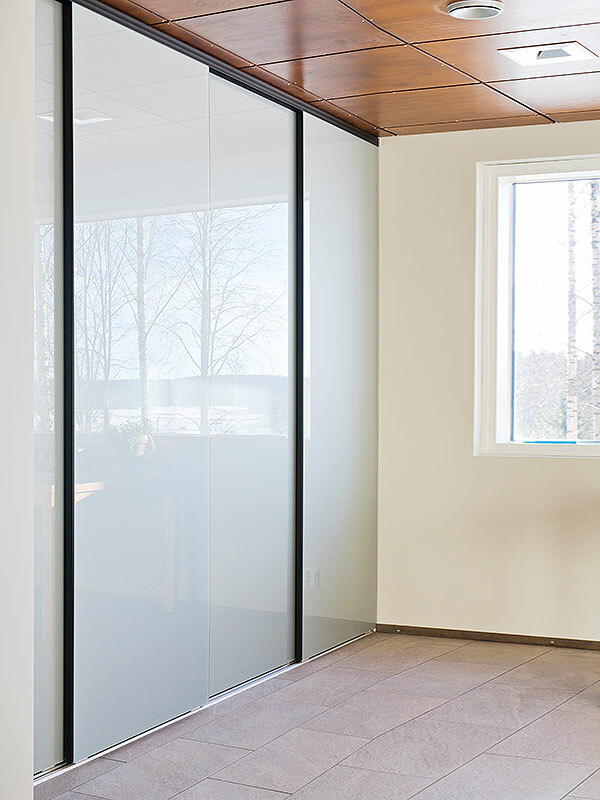 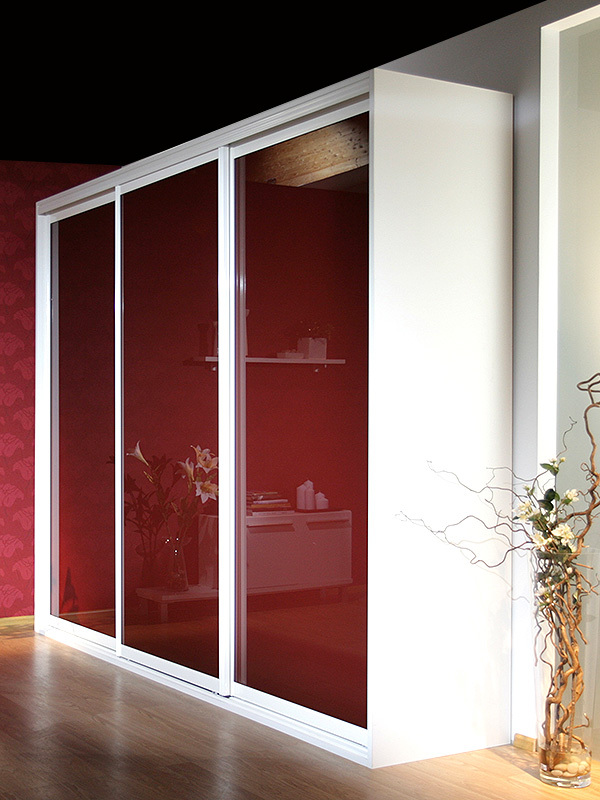 Our sliding doors are made of board or glass, with or without frames. 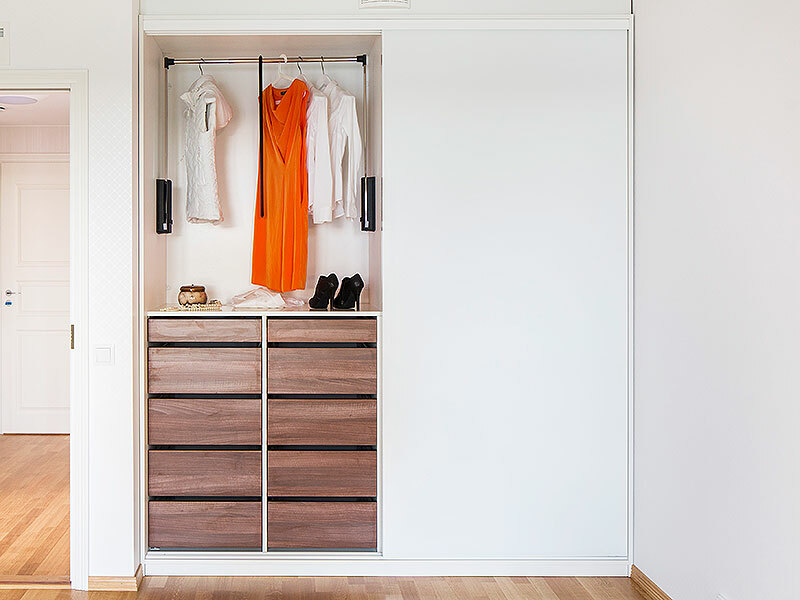 Select your favourites! 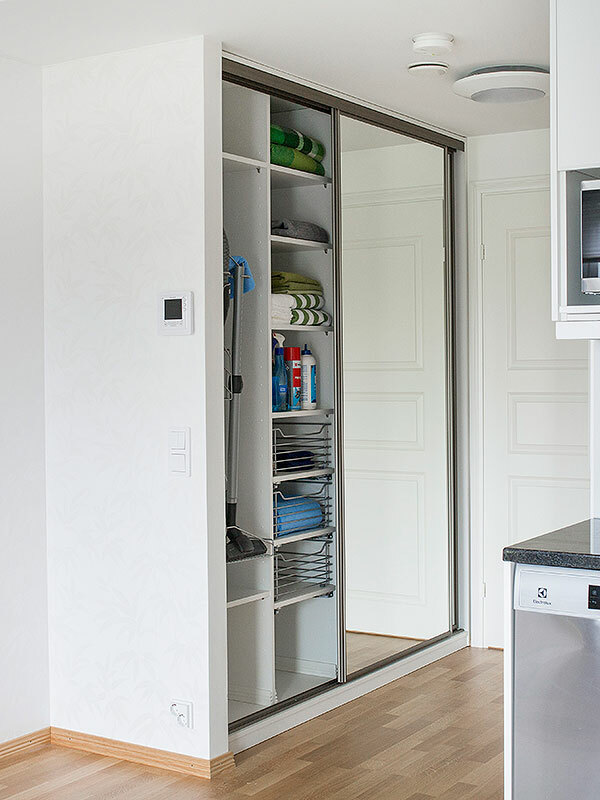 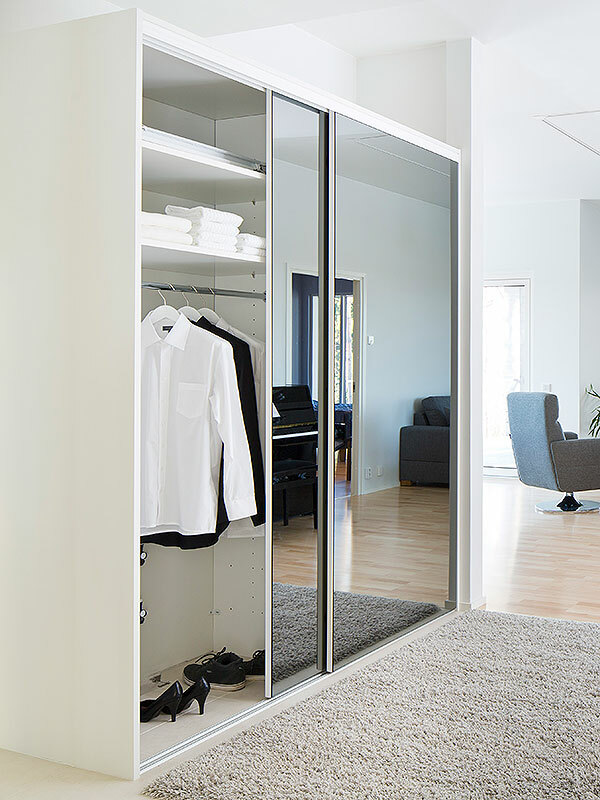 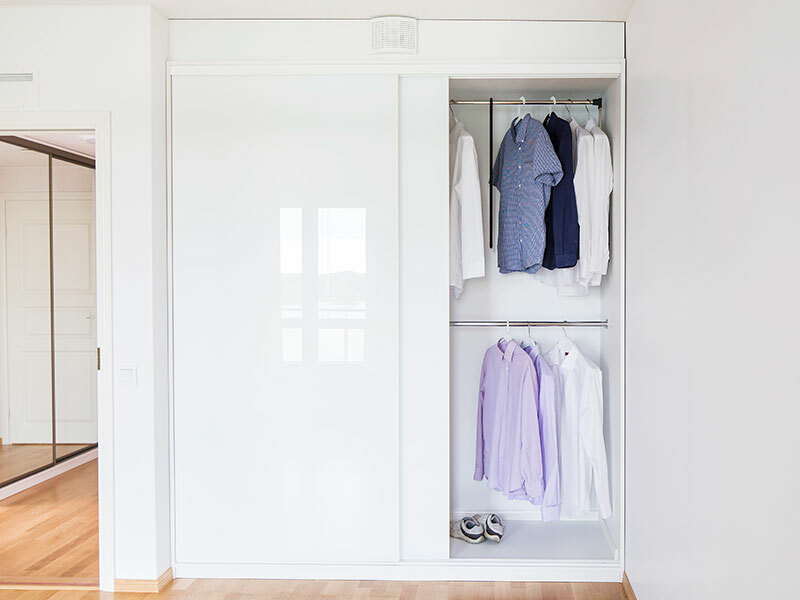 With our design tool, you can try out how your sliding doors look like as a part of the storage solution. 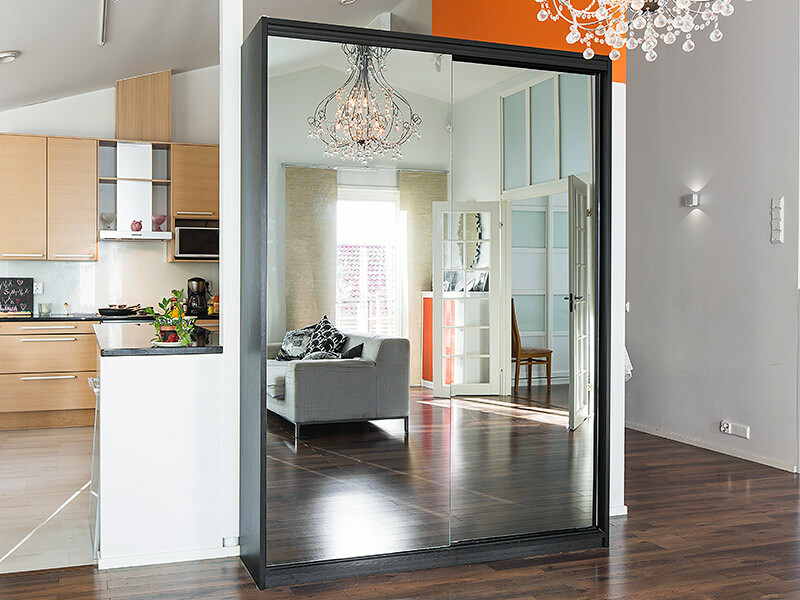 We can help in selecting the suitable doors, but the combination is always manufactured in accordance with your wishes and measurements.